A desirable entry-level luxury sedan manages to surprise with its thoughtful details and a great drivetrain. 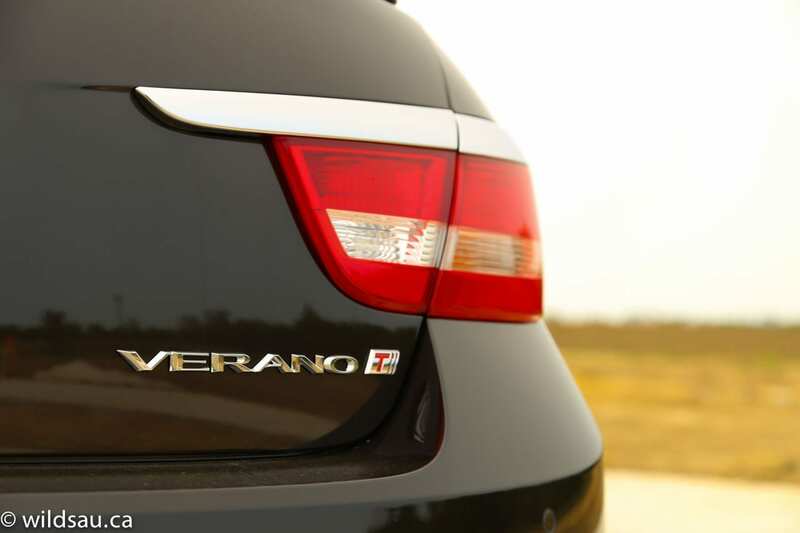 The Verano is a smaller sedan, sporting graceful lines that won’t offend anyone. It’s not the most beautiful car, to be sure, but it has been blessed with a design integrity that offers up a good-looking car with cohesive elements. 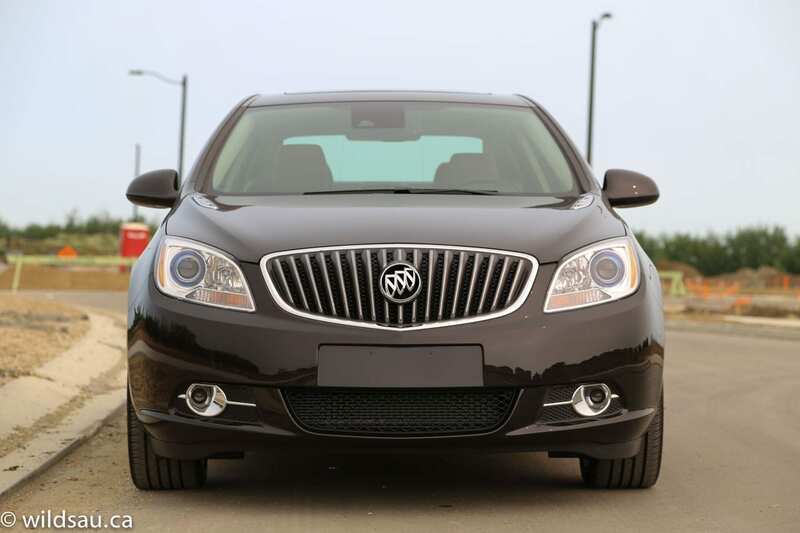 If there’s one thing that stands out for me, it’s that Buick grille. I find it’s a bit stodgy looking here, and is a nod to the old school – which isn’t necessary. 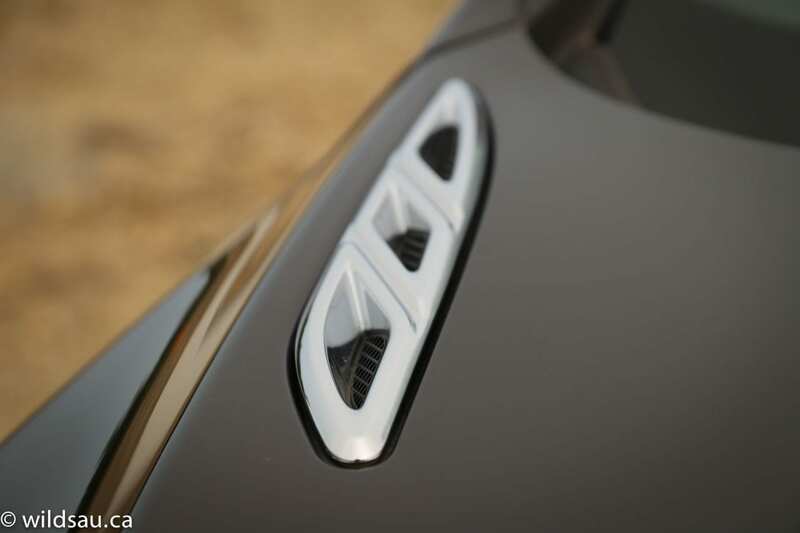 Heck, the hood-mounted faux air ports are enough of a nod in that direction if you ask me. The headlight pods contain sophisticated-looking projectors and the rear end is finished nicely as well with its chrome eyebrows over the tail lights and the dual oval exhaust tips. 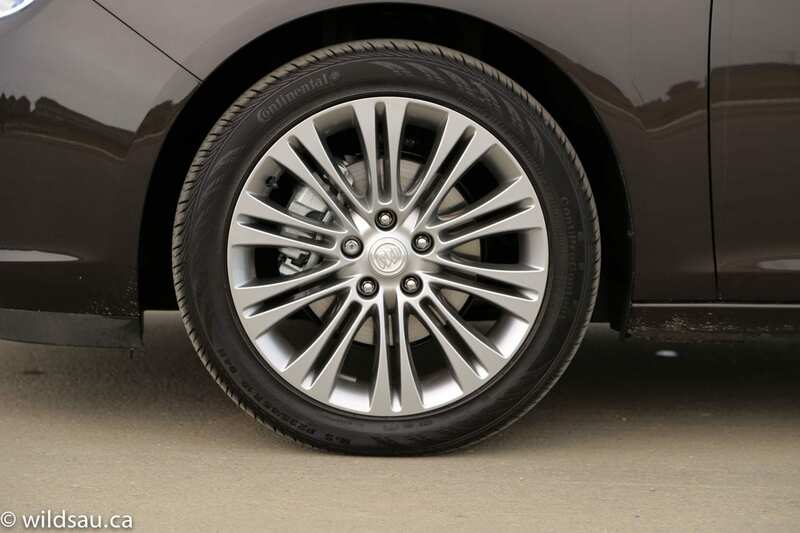 Lovely 18-inch rims are shod with 235/45 gummies, and complete the Verano’s classy and understated look. I’m a big fan of brown cars, and my review vehicle’s Mocha Bronze Metallic was an outstanding match for the Verano’s shape. 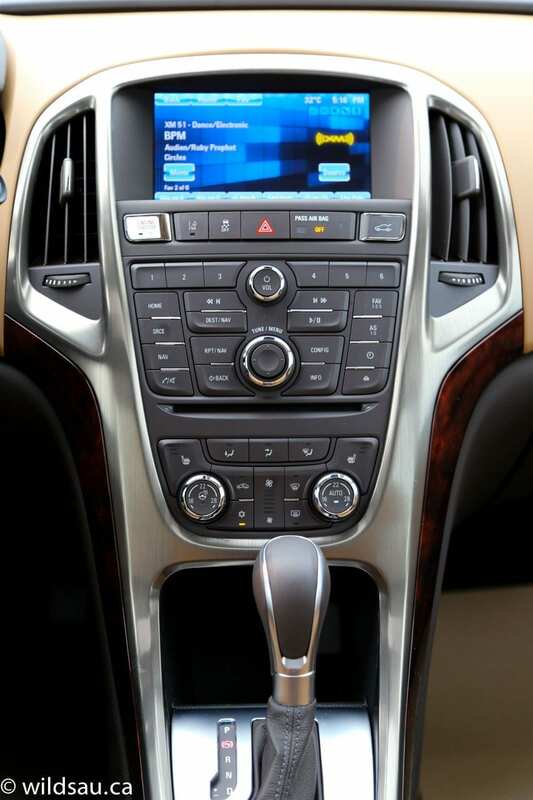 You’ll enjoy the Verano’s keyless entry system, and once you get in, an impressively finished cabin greets you. Though this is entry-level luxury, the serene space is a very nice place to be, combining some soft-touch plastics, some hard plastics, some wood grain and nice, expensive-feeling textures with what appears to be outstanding fit and finish. I really like the horribly-named Choccachino colour scheme – you get some lighter tones and a handsome and attractive match for my car’s exterior colour. The interior styling doesn’t break any conventions but I found it to be a very pleasant place to be. Continuing with the theme of nice materias, the leather upholstery on the seats is beautiful. The heated thrones are comfortable and very supportive, as is the heated steering wheel. 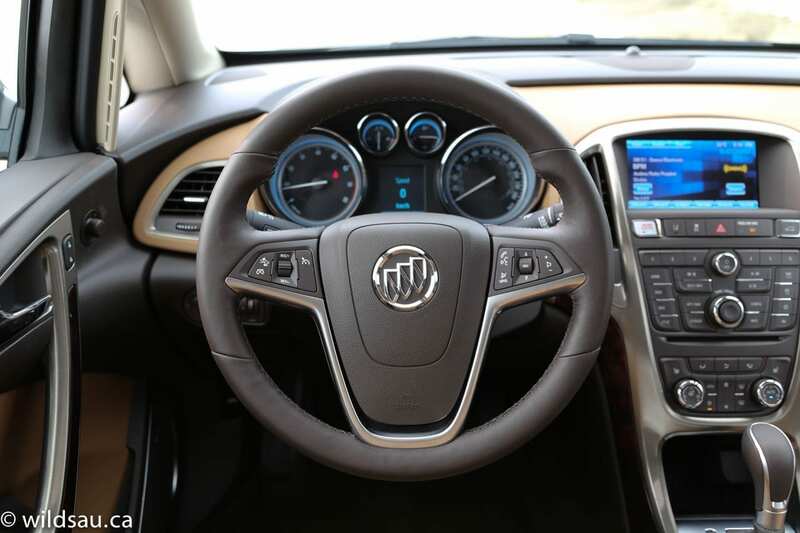 I am a fan of Buick’s gauges, and I’ve always thought the numbers on the gauge bezels make them look like a fine timepiece. The driver information screen is useful and easy to access, but is starting to look very date with its crunchy green font and graphics on a black screen. Time to update that, GM. The 7″ IntelliLink touchscreen that handles your media, phone, navigation and vehicle settings is much easier on the eyes, with crisp graphics and colours. 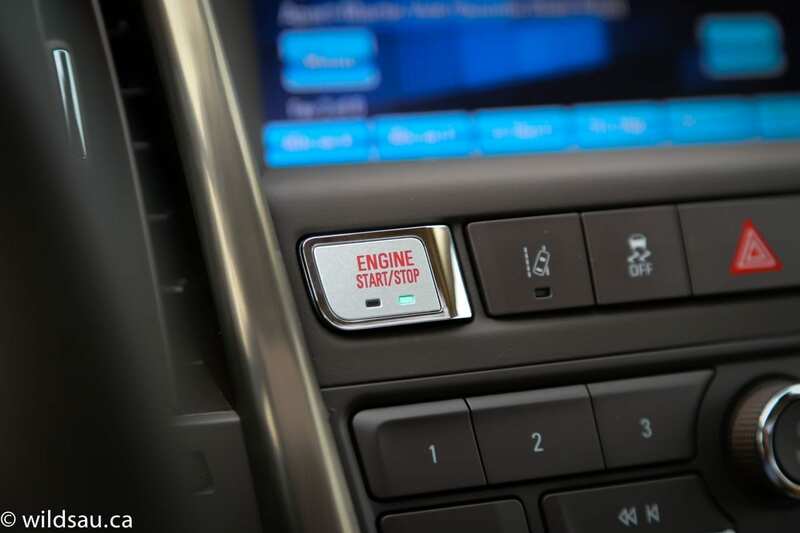 The tragedy lies with the messy sea of similarly-sized, -shaped and -coloured buttons below the screen – thankfully you don’t have to use them very often, but there is no way you can use these buttons without taking your eyes off the road. 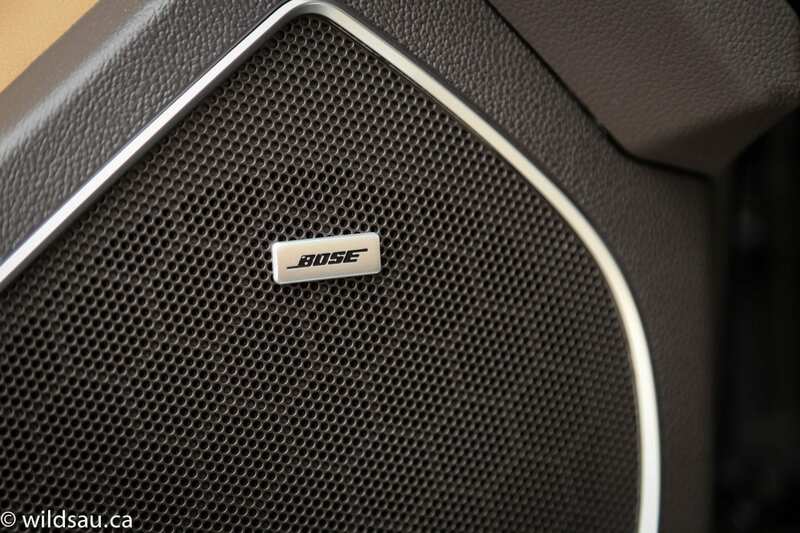 The BOSE system sounds good, there’s a dual-zone automatic climate control for comfort and you can enjoy the blue skies in your life through the standard-sized sunroof overhead. This loaded up Verano has a fairly complete suite of driver assistance technology. The rear-view camera, parking distance sensors, rear cross-traffic alert, blind-spot monitoring, lane departure warning and forward collision alert make for a nice electronic safety cocoon. There are a couple of little nooks and crannies here and there where you’ll find space to drop your phone and other sundries. 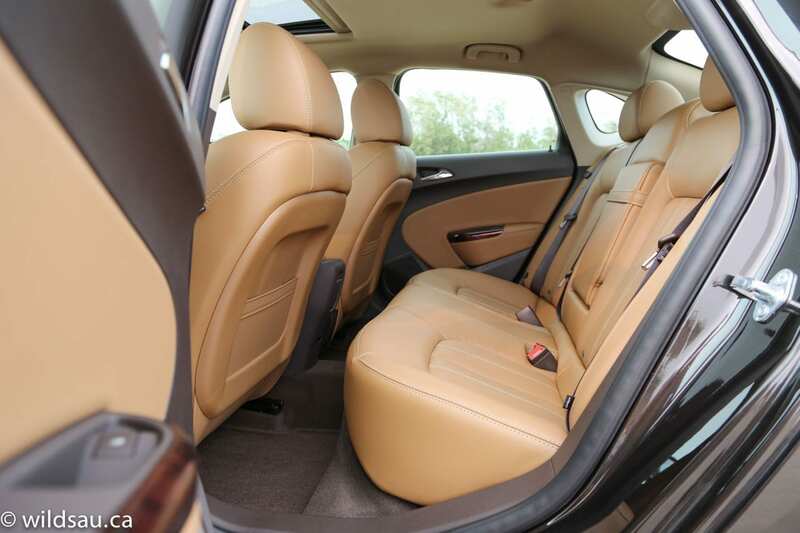 The back seat area isn’t huge in the Verano, but it’s a nice space too. Two outboard seats offer enough headroom and legroom for me at 5’10”. Forget about the centre position, which is very narrow, straddles a tunnel and loses most of its legroom thanks to the centre console. Rear passengers get a 12V plug and a small storage bin, and the middle seatback folds down to become a nice wide armrest with two cupholders. 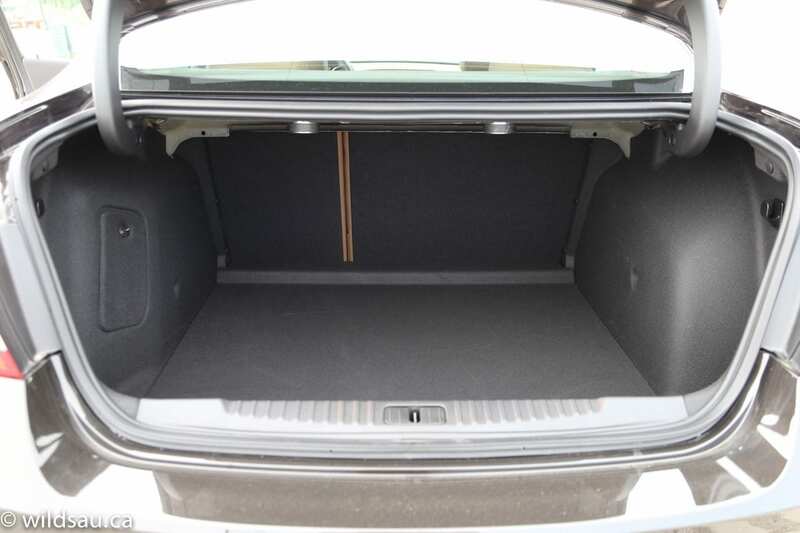 The trunk is a useful size at 405 litres, and the rear seats fold down, splitting 60/40. I was surprised at how wide the pass-through was for a sedan with a trunk, and it effectively increases the cargo carrying capability. The trunk lid’s arms are not shrouded, so they’ll pinch your luggage if it gets underneath. I appreciated the trunk release button inside and on the key fob, but hated that there isn’t a button to open it on the trunk lid itself. 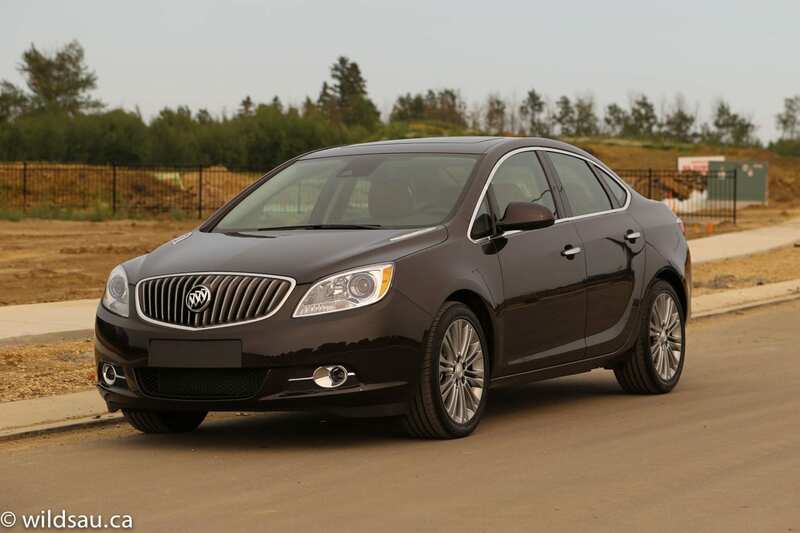 The Premium option package gives the Verano what I always felt it needed – a little more kick. Actually, it’s a lot more kick. 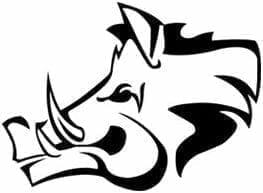 The snarly turbocharged direct-injected 2.0-litre 4-cylinder is rated at 250 horsepower at 5300 RPM. More importantly, it puts down 260 lb.ft of torque at 2000 RPM. Plenty to pull a 1497 kg (3300 pounds) car around. The front-wheel drive Verano gets a 6-speed automatic transmission. Fuel economy is reasonable though nothing special. 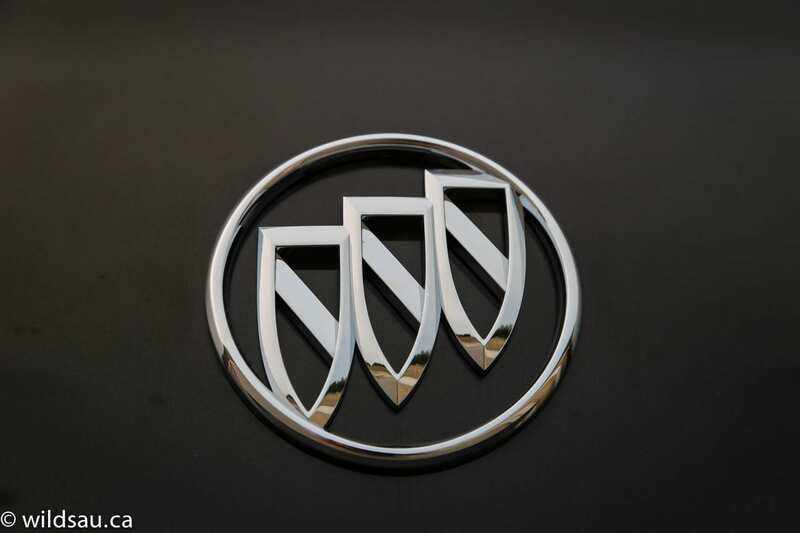 Buick rates it at 10.1 L/100 km (23 US mpg) in the city. Highway mileage is much better, and gets rated at 6.6 L/100 km (36 US mpg). I averaged 11.4 L/100 km (21 US mpg) driving with a slightly heavier foot than usual, mostly in the city. The 59 litre tank gives the Verano good range once you hit the open road. A quick stab of the finger will fire up the Verano thanks to its push-start ignition, and you’re rewarded with a sporty little snort from the tail pipes. Docile and refined for every day driving, the Verano transforms into a surprisingly powerful performer under heavy throttle. After some barely noticeable lag, the Turbo pulls hard, almost up to redline and a very linear power delivery makes it quite satisfying. It’s no slouch, knocking off the 0-96 km/h run in a scant 6.2 seconds if you tromp on it. The smooth transmission delivers shifts that can barely be felt and seems to be quite intelligent in terms of being the right gear. Yes, it leans on the side of economy, and a sport mode would be nice, but overall, I thought the programming was perfectly in line with this car’s mission. The gears can be shifted manually – while it’s not dual-clutch quick, the process is fast enough if you care to use this functionality. I found a very comfortable ride in the Verano, soaking up all but the biggest hits. It’s firm enough to feel well-controlled and it never gets sloppy in any situation. The handling, too, is outstanding, and the car proved to be more nimble than I anticipated. It will turn in quickly, with only a little body lean and even the steering might surprise some drivers as it allows for a little fun. 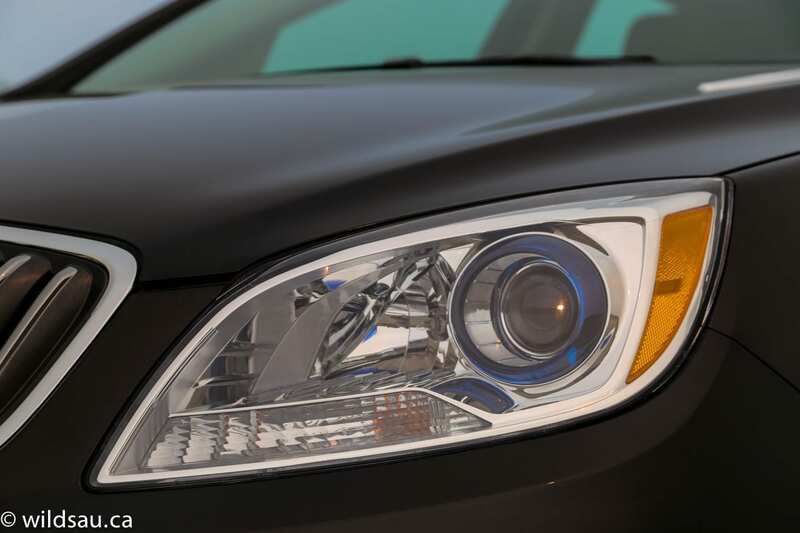 Buick makes a big deal about how impressively sound-dampened the Verano’s cabin is. They aren’t kidding around. The interior is tuned to be silent – coupled with its exceptionally quiet ride, and with whatever they’ve done to suppress wind and engine noise – well, they got it right. The engine gets a tiny bit buzzy above 4500 RPM but it’s isolated and not really intrusive at all. I felt the brakes were powerful, and the car has a tight turning circle, making parking manoeuvres easy. Visibility out of the car is excellent with one slight exception – the back windshield is a bit of a gun slot. 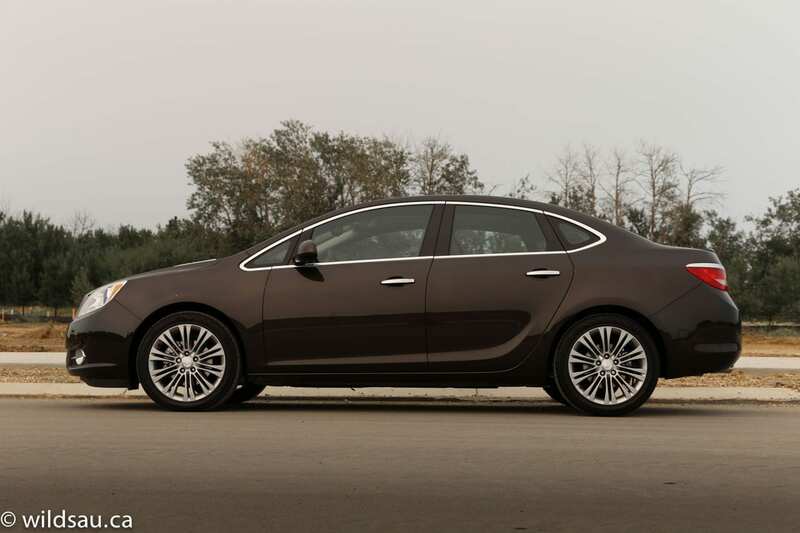 I couldn’t help but find the Buick Verano to be desirable. Its restrained good looks, the refined and surprisingly sporty (for this class) powertrain, a full suite of luxury and technology – it all comes together very nicely in a small but highly usable package. 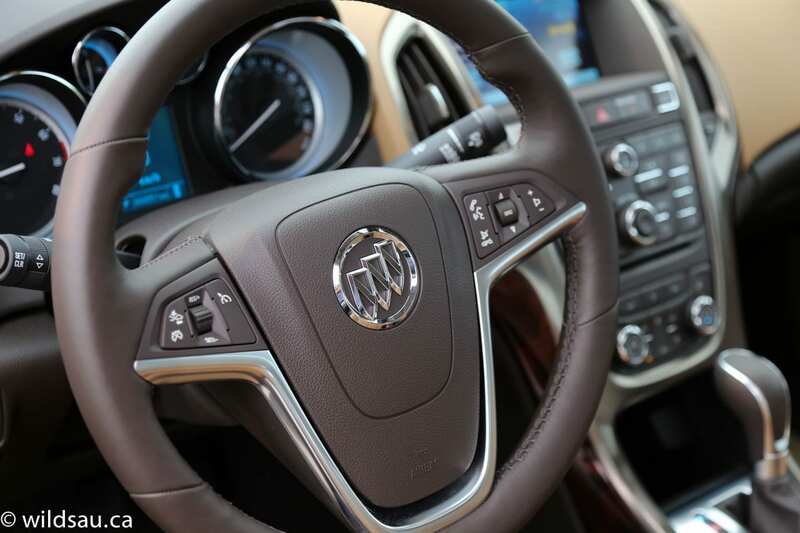 It feels luxurious when you get in and when you drive it. 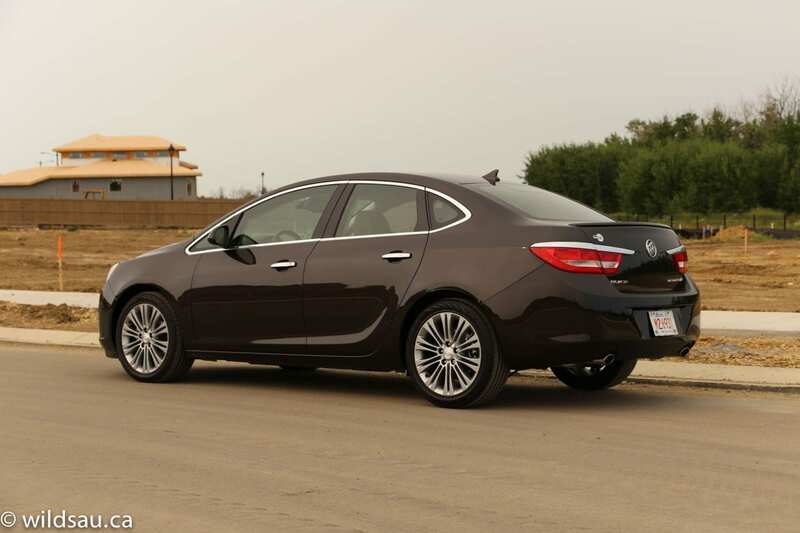 There is nothing obvious that’s missing and Buick has covered a lot of bases, and I feel they’ve done very well with this car. WAF (Wife Acceptance Factor) was very high. She loved how the car drove, how it wasn’t too big but not too small, and she said she felt she was in an expensive vehicle. 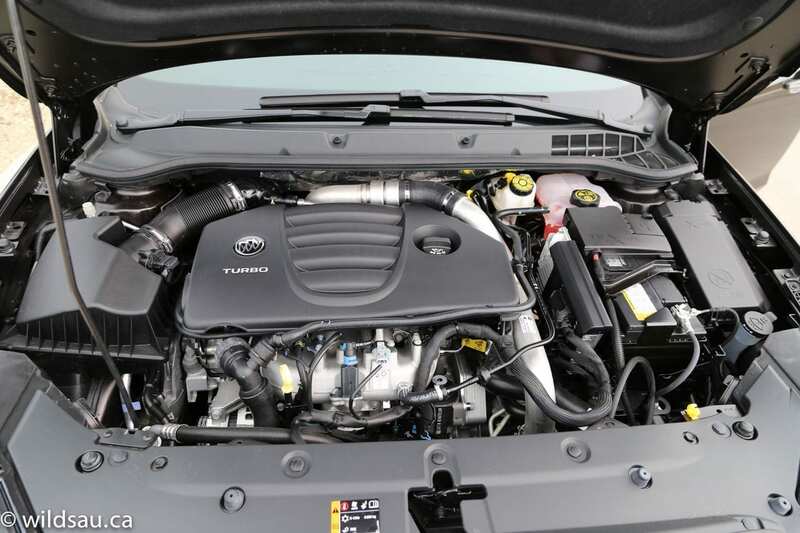 The Verano Turbo checks off a lot of boxes and stays within reason when it comes to price. It’s a bit of a sleeper, and that’s exactly what some buyers are after. I wouldn’t hesitate recommending this car if you’re shopping for a near-luxury sedan that can pick up the pace when you ask it to. Oh, and if you want, you can get it with a 6-speed manual.